The hardest part about adapting to the US has been the differences in food. However, this month there are two highlights. For our US readers, a Pavlova is an Australian dessert which is basically a large meringue topped with cream and fresh fruit. The trick is to get the meringue crunchy on the outside and soft in the middle. Lana’s first two attempts during summer were a flop. The meringue didn’t rise and was chewy rather than light and crunchy. David Floyd tried the chewy one and thought it was yummy, so convinced Lana to try again. It worked! A perfect pavlova, light and crunchy on the outside, soft and fluffy on the inside. Success! There is hope for Georgia yet. One of the directors of Greentree was traveling the US with his family and was able to visit us up in the remote NE corner of Georgia. We had a great dinner with our two families, and he imparted a critical piece of intelligence. 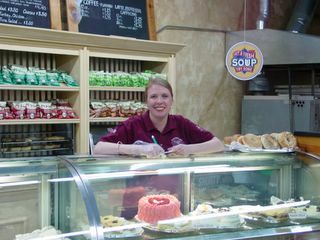 There was a little bakery that sold Australian meat pies and other bakery goods in Atlanta and Marietta (Nth Atlanta). Marietta is 2 hours away but that is nothing for a good meat pie. I told Bretta Ogburn and this was great news for them too. They lived in Australia for a few years, and that is enough to give one a yearning for a good meat pie. We finally made it and bought meat pies, lamingtons, bread rolls without sugar, vanilla slices, cherry ripe slices and apple slices. A great taste of home. The chaps that run the shops are from Australia and New Zealand. 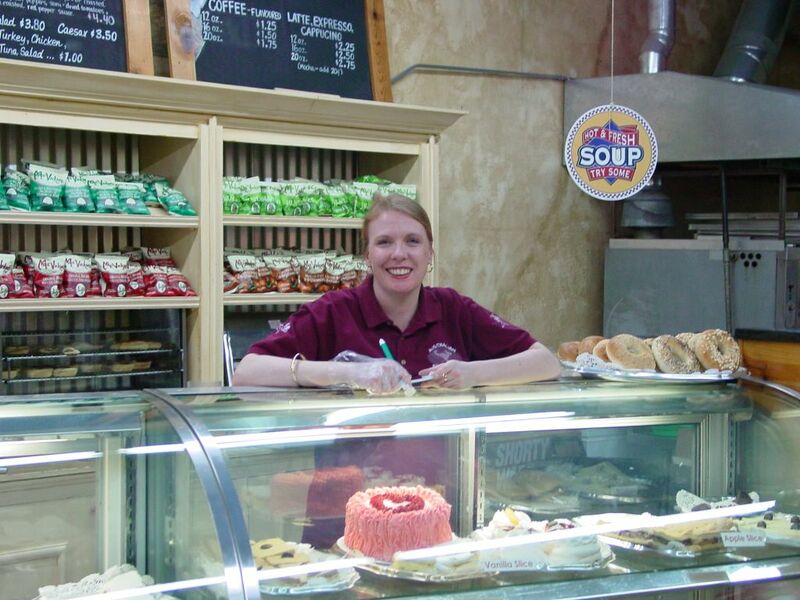 The baker at the Marietta store was from Northern Victoria. When he, Lana, the lady behind the counter and David dropped into straight Australian, the local girl (16?) couldn’t understand what we were saying. Great Fun. Their web site is here. It looks as thought the worst of the winter is behind us. Days are warming up and different wildlife is starting to emerge. Birds are chirping in the mornings and soon the trees will start turning green. So we crept very quietly to the upstairs windows and sure enough there were about 6 to 8 deer. We took some photos from inside the house. As soon as we opened the door as quietly as we could, the deer sensed us coming and ran off. 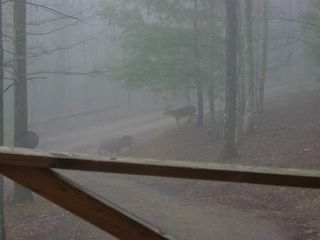 Deer in the mist - before we missed the deer! 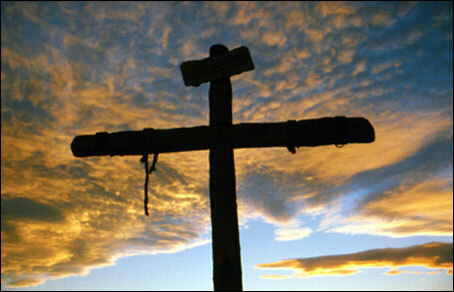 Lana and David were able to see the much talked about film, “The Passion of the Christ” on the first Friday in Lent (Feb 27). The parish booked the local cinema for the 3:00 session. Tickets were sold out in two days. In fact, since the film started showing, every session has been booked out. One of the local churches, First Baptist, has purchased tickets for the 12:00 session every Saturday for the first 4 weeks and anyone can come and see it for free. There has been a phenomenal reaction to this film across the country with box office records being broken. The other amazing thing is that there are no middling reviews – all are either for or against, 5 starts or none. Those that hate the concept of an authentic Christian movie, faithful to the gospels have been viciously attacking the movie, Mel Gibson, the historicity and authenticity of the Gospels and the importance of Jesus’ Passion. Whilst with this movie, they have argued that it is too violent, anti-Semitic, too long, too dogmatic, or just too much – these same critics praised as “artistic” anti Christian films like Dogma, Last Temptations of Christ, vile artwork like Madonna in dung or the crucifix in urine. Those things are “Art” whilst “The Passion” is “Violent”, or terrible, or should be banned! We saw the film and intend to see it again. We recommend it to any adult. Children should only go once their parents have determined whether they can handle the graphic nature of Christ’s crucifixion. Once the DVD is out, we will then be able to show that to the older children, pausing or fast-forwarding or explaining as appropriate. To any that have meditated on the passion of Our Lord using The Stations of the Cross, The Sorrowful mysteries of the rosary, the last Seven Words of Jesus or read the gospel accounts will not be surprised at the story. We thought it was just as we had imagined - brought to life on the screen. It has accurately been described as more of an experience than a film. It is not a popcorn and coke film! Afterwards the whole audience sat through the credits as they absorbed what they had experienced and then slowly went home contemplating what He did for us. 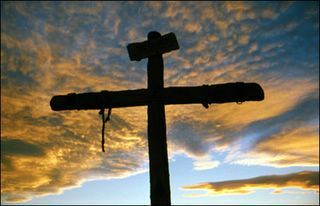 The Cross after Jesus is taken down. After a very well organized three weeks, the phone call came. Ariel and Eric did not get in the team. They are top of the list if anyone drops out. The instructors were very impressed with how they both went, considering they had no prior experience with guns. I suspect their main concern was that their scores were a bit erratic. They now practice in the backyard with their “Red Ryder 1938 BB gun” using the techniques they have been taught, and are teaching James and Peter too. Next year we will try again. 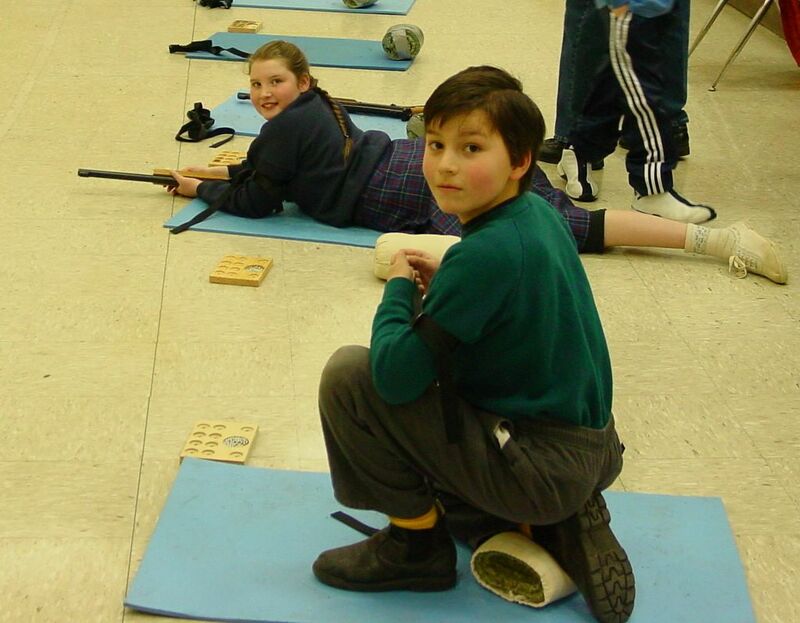 Eric (kneeling position) and Ariel (Prone). 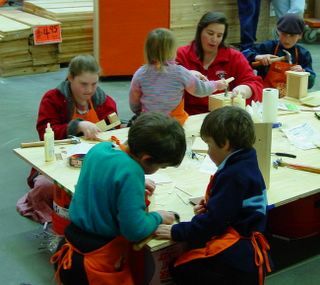 In December we mentioned the Kids Workshops run by Home Depot. These free workshops provide everything and the children are really enjoying the crafts. This time we took some photos. All six children (Lana on behalf of Rose) doing their woodwork. We have started a new system with the Floyds so both couples can go out on a “date”. On one Saturday we mind the Floyds children and on another they mind ours. This is a great way we are able to recharge and get some quiet time. 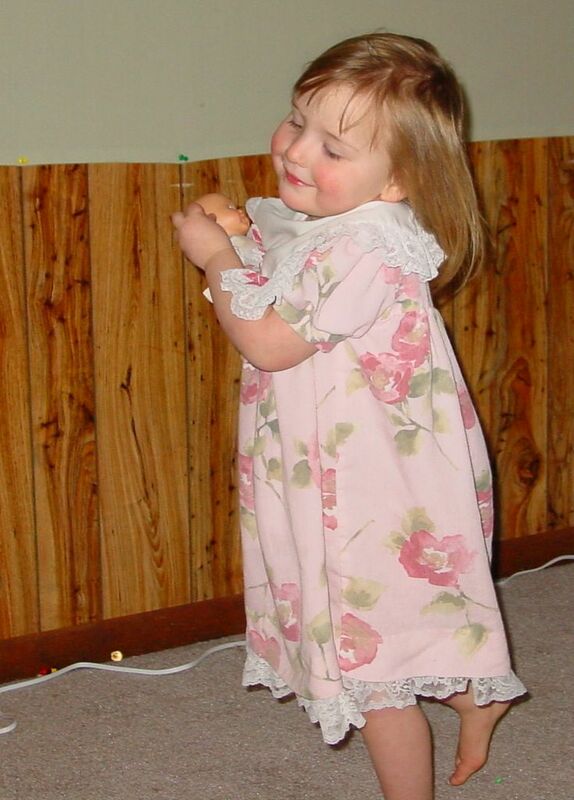 The last time we just went shopping, hired some DVDs and had a quiet day at home. The children had a ball at the Floyds and we got together in the evening and all enjoyed ourselves. When families grow, this is a great way to get some time alone without the chore of trying unknown baby sitters. A win-win situation for all. David will be in Australia to assist with one of his long standing clients in Sydney for the last two weeks in March. The timing worked out well, as he will be able to attend his sister’s wedding. Colette had resigned herself to the thought that David wouldn’t be able to attend, but when he called her once it was arranged she was very happy. On the way TO Australia, David’s bag will have various books and homeschooling supplies Australian families can’t get delivered from the US, and for the return trip, he will have all sorts of Australian Food for Lana and the children.